Before we had this tool we couldn’t make a case for capital renewal or deferred maintenance funding because we didn’t know what our needs were. Now we can easily and accurately forecast capital renewal budgets for any planning horizon. Diversified Intelligence gives us a sense of ownership over our information. 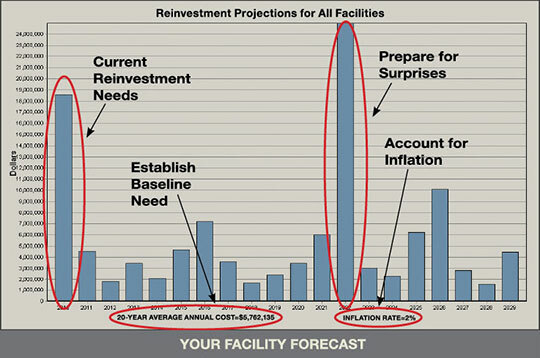 Facility AuditMateTM has proven to be the most powerful tool for communicating your facility reinvestment needs and helping you substantiate increased facility reinvestment funding. Facility AuditMate was created by experienced professionals to help organizations maximize their existing resources. It automates and streamlines the lifecycle audit—the most efficient and accurate system yet devised for identifying facility reinvestment. 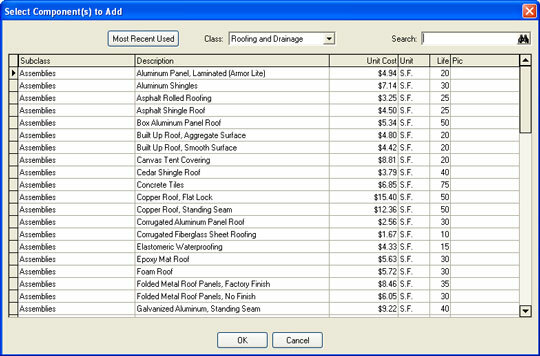 Facility AuditMate enables you to tap into definitive unit cost and lifespan data for over 2,000 building components. Our data is field-tested and refined using input from a national network of manufacturers, architectural and engineering professionals, project managers, and contractors. To ensure added accuracy, data can be further adjusted for local conditions. The result is objective data based on tested industry norms, not the subjective opinion of an inspector. With Facility AuditMate, data collection is straightforward. 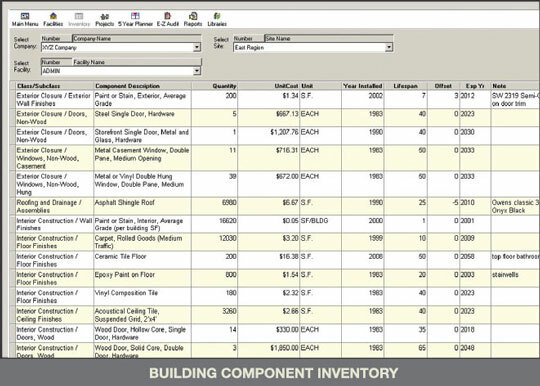 Auditors simply choose components from built-in lists, ensuring a high degree of uniformity and objectivity. Digital photographs can also be imported to provide additional documentation, and many of the fields in the database can be edited to a client’s specifications. Once the initial data entry is completed, maintaining the database is simple—you only have to enter or edit information when a component in the field is replaced. With Facility AuditMateTM. Both the initial and ongoing expense of monitoring your facility is dramatically reduced. As powerful communications tool, Facility AuditMate bridges the gap between facility and financial managers. With Facility AuditMate, facility managers can easily generate a variety of standardized and custom reports and charts that can help guide their decision- making. For instance, managers can benchmark individual buildings, groups of buildings, and their entire plant using facility condition index (FCI) or current replacement value (CRV) measurements. They can also create detailed project budgets as well as five-, 10-, and even 20-year plans. Simply, Facility AuditMate translates facilities data into the language of spreadsheets and graphs that financial managers use on a daily basis, setting the stage for increased reinvestment funding.